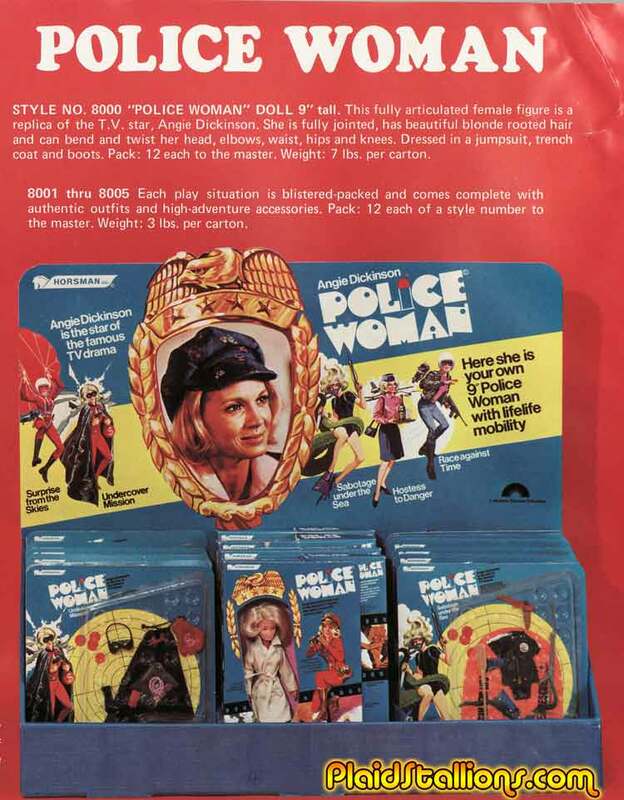 It may seem commonplace now but the mid seventies TV series "Police Woman" was groundbreaking televison. Angie Dickinson played "Pepper" Anderson, a no nonsense lady cop and she became the first female lead of an action series (thankfully not the last, bit of a Xena fan). Horsman dolls sought to captilize on this powerful new role model with an action figure (not a doll) and a series of cool outfits. The toy line is identical to one sold in the UK as HAVOC (check out this comprehensive site here) by a company called Model Toys. I'm not sure which came first in this scenario. I know Pepper went undercover but never knew she ever dressed like Zorro, that is wicked cool. 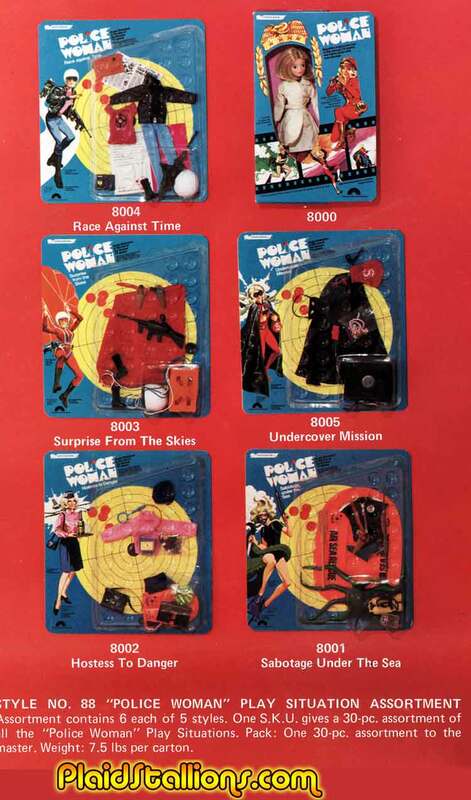 The sensational adventure in these outfits seem to suggest that maybe Horsman purchased the concept from Model Toys as HAVOC were a team of female spies.